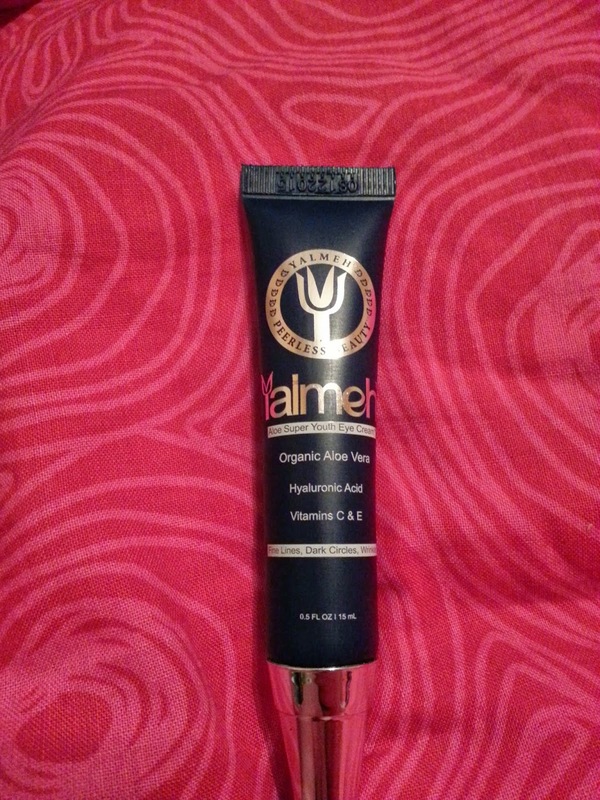 I recently received this Yalmeh Peerless Beauty - Aloe Super Youth Eye Cream for free from Tomoson.com in order to provide an honest review on Amazon Canada, and on my blog. Here is a description of the eye cream, provided by Yalmeh Peerless Beauty. 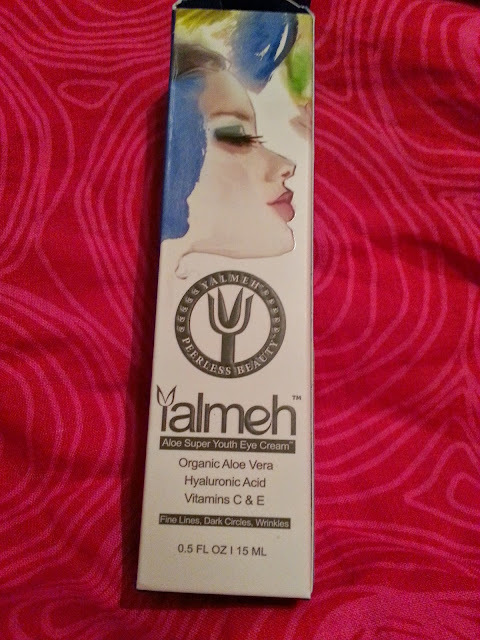 From the very beginning, the customer service from Yalmeh has been amazing. I was contacted immediately to make sure that I knew my item was shipped out, and I even received some emails telling me how to properly apply the eye cream, as well if I had any questions or concerns to contact them. I did have to contact them once, and I got a reply very quickly. Within an hour even. This is great to me! The shipment was sent to me very quickly. I believe I ordered it late on a Friday night, and it was here by Sunday afternoon. I didn't expect that at all. I was also surprised at the size that I was sent to sample. It is a full size product at 15mL, and comes in the perfect sized tube. The scent of the cream was soft, and wasn't overpowering at all. Infact, once it was applied, I couldn't smell it anymore. Which is always nice about an eye cream. It takes very little to apply. I only applied this under my eyes, because my main concern was dark circles, and fine lines that are starting to appear. I have been using this eye cream religously for the past week. Some days I apply it only once in the morning, and it is pefectly fine to wear under makeup. Other days I would only apply it before bed, and some days I would wear it twice. Once in the morning, and again after washing my face, I would apply it before bed. Even though I have only used it multiple times for a week, I can already see a big change. My dark circles are lightening, and seem brighter. I've noticed that the fine lines I have are not as noticible anymore either. My friend even mentioned to me that my eyes don't look so tired anymore. And this is only for a week! Imagine how much of a difference a month, or even three will make. I absolutely love this product, and if you're looking for something to combat those dark under eye circles, this may be for you. Mine are stubborn, and it's so nice to see that they are fading away with proper eye cream. I've also noticed, that my eye area is not as dry anymore either. So it has been really moisturizing them as well. 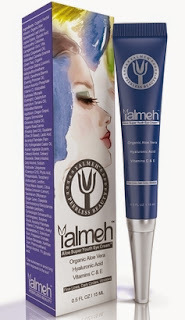 If you're intrerested in purchasing the Yalmeh Peerless Beauty - Aloe Super Youth Eye Cream you can purchase it off of Amazon.ca. It is actually on sale for only $19.99 (regularly priced at $55.99) which is a STEAL. The price is amazing for something that has been working this great! They also have a 90 day return policy, just incase you are not fully satisfied. But I think you will be!